The main goal of the presentation is to show how you can use the techniques from the Hawaii Dementia Prevention Trial to reduce your own risk of dementia, including Alzheimer’s disease. All of the nutrients used were cleared by the Internal Review Board of the University of Hawaii for safety in elders. If you are already suffering memory problems, you may be able to slow, stop, or possibly even reverse the progression of Alzheimer’s disease and vascular dementia. These techniques are based upon good medical science with citations to over one hundred peer-reviewed studies. Find out more in my latest book, Nutrients for Memory. I will guide you on what you can do for yourself to help your memory. 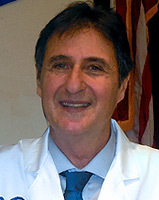 Steve Blake, Doctor of Science, is research director for the Neuroscience Nutrition Foundation. He is Lead Advisor for the Gale Encyclopedia of Alternative Medicine. He just returned from China where he will create an anti-aging program at a mega-hospital. He has offered many classes at the University of Hawaii. He designed and ran the Hawaii Dementia Prevention Trial, a clinical study at the Hawaii Alzheimer’s Disease Center. He recently retired as Faculty Nutritional Biochemist at Hawaii Pacific Neuroscience where he worked with diet and neurologic disorders. He is author of Nutrients for Memory, the McGraw-Hill textbook Vitamins and Minerals Demystified, Autism: A Spectrum of Improvement, Mastering Migraines, and Fats and Oils Demystified, How Not to Get a Heart Attack, Stop Strokes, and Parkinson’s Disease: Dietary Regulation of Dopamine. He has authored Mosby’s Alternative Remedies and is co-author of Mosby’s Drug Guide for Nurses, 4th edition. He authored the Diet Doctor, software for analyzing dietary nutrients. www.DrSteveBlake.com. During the presentation we will explore the causes of dizziness that range from cardiovascular, peripheral and central etiology. We will also cover traditional and innovative treatment options and which health professionals should be consulted for the varying types of dizziness. 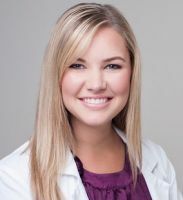 She is currently in full time clinical practice at Azzolino Chiropractic Neurology & Integrative Wellness and serves as the elected President of the California Chiropractic Association San Francisco chapter. Dr. Afzal specializes in the rehabilitation of various neurological and musculoskeletal disorders. She has extensive experience working with children and adults with post-concussion syndrome, degenerative disc disease, developmental delays, dyslexia, learning differences, movement disorders, sciatica, tic disorders, vertigo, sports injuries, and many more.